An entrepreneur, who crafts floral creations for some of the world’s best beauty brands, is hoping to grow her floristry business internationally after investing in new premises. Ruth Davis, who is 28-years-old and originally from Kendal, has recently celebrated the third birthday or her successful florist All for Love, marking the milestone with the move to a brand new studio. The firm, which creates bespoke floral installations for weddings, large-scale events and award ceremonies, has transformed the studio space in Wellington Works in Wimbledon Park, London. Ruth has produced flower arrangements for an impressive list of clients, and more recently has been asked to join the world-famous Royal Museums Greenwich collection as a preferred floristry supplier. The collection includes the Royal Observatory, Cutty Sark and The National Maritime Museum. All for Love London counts some of the world’s most renowned cosmetic brands, including Elizabeth Arden, L’Occitane and Nars as its customers, becoming the expert in dressing new product launch events and brand press days. The commercial property team at Harrison Drury solicitors advised Ruth on all aspects of the move and negotiated a new five-year lease of the studio. Originally from Kendal, Ruth moved to London in 2011 to pursue her dream of becoming a florist. She worked as an event manager for a number of florists before setting up All for Love, aged 25, in 2014 after a project for her best friend’s wedding gave her the confidence to go into business alone. The florist has proved so successful that it is hoping to open two further studios internationally, with Ruth having already purchased the domain names for All for Love Paris and New York. 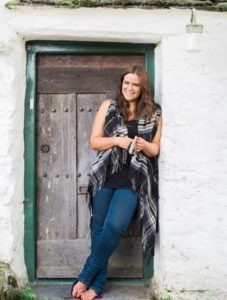 Ruth added: “We’ve already got three overseas wedding bookings this year in locations including Portugal and Sardinia, so I’m hoping to become a destination florist and expand the business internationally. ‘All for Love Abroad’ has a nice ring to it. All for Love London was responsible for the flowers at this year’s ELLE Style Awards and 2016’s Red Women of the Year Awards, and as Hearst’s official floristry partner for 2017, the team has a year full of events with Cosmopolitan, Red, Esquire, Elle and Harper’s Bazaar. 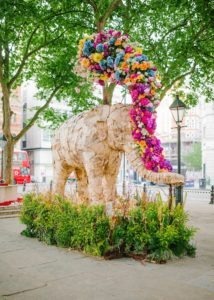 All for Love is also the floristry partner for venues including Chiswick House, Hilton London Bankside and The LaLit London, while the firm recently scooped the ‘Best Wedding Florist’ award at the UK Wedding Awards 2017.